One of the first I tried was the Speed Coat Pro, Fast Dry Top Coat by Ciaté. I hadn't tried anything else from them, but when one of the blogs I'm subscribed to posted that they had an amazing sale, I bought a few different polishes and a couple of sets, the Fast Dry Top Coat came as part of one of the sets (this Flower Manicure set). The day my nail mail came I was so excited, I took off the polish I had on my nails and painted them with one of my new polishes, I then waited a few minutes and painted a thin layer of the top coat and left them to dry. The first thing I noticed was that they didn't dry as fast as I expected them to, but that was ok, I wasn't in a rush that day. I sat patiently and let them dry but started to notice bubbling of the polish. I assumed that I did something wrong, but it looked terrible so I had to take it all off. Next time I tried applying the Fast Dry Top Coat to wet polish hoping that that was the right way, no good, the same happened again, so I took it off. By this point I was a bit annoyed so went back to my Seche Vite. A few weeks later I tried again, but this time I didn't apply the top coat at all. I left my nails a full 24 hours before applying the top coat and this time it worked fine. It dried really quickly, but that was obviously because the nail polish underneath it was 100% dry already. I am used to using Seche Vite, which works best if you apply it to wet polish, so the thought of having to wait until my nails are completely dry (a good 24 hours) before I can finish my manicure is crazy to me. 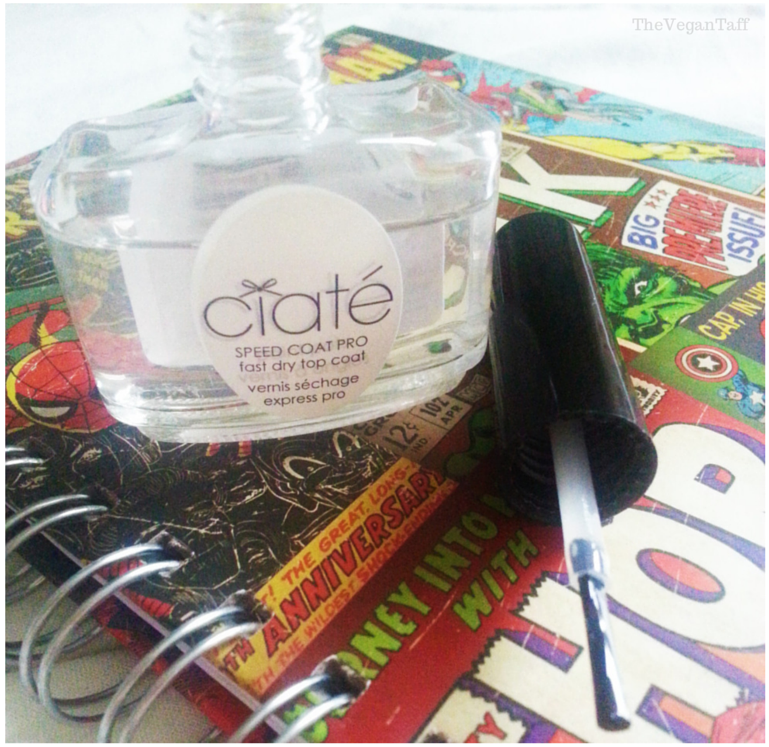 For now I will stick to my trusty Seche Vite for drying my nails quickly, but if I need to top up the shine midweek I will happily reach for the Ciaté Fast Dry Top Coat. For the price I really don't think I'll be re-purchasing this top coat, if I ever use it all up. I love the Ciate Paint Pots and have only heard good things about this top coat, but I'm unimpressed with it, maybe I got a bad bottle. Have you used Ciaté Fast Dry Top Coat, if so what are your opinions on it? I'd love to know if you have found a way of making it work for you. Ciaté Speed Coat Pro Fast Dry Top Coat is available to buy online here for £11.